Palmview Village is centrally located to all the things you need in life, with easy access to the surrounding attractions and facilities. For Palmview residents there are distinct advantages of living in a community of likeminded peers offering support and casual social interaction. Take advantage of ‘Never Seen Before Prices’ and new opportunities we now have available! Palmview Village provides a premier living environment and lifestyle, setting the standard for retirement living. Ideally located on the northside of Mackay, Palmview Village offers multiple independent living options and resort style facilities suited to the 55+ age group. 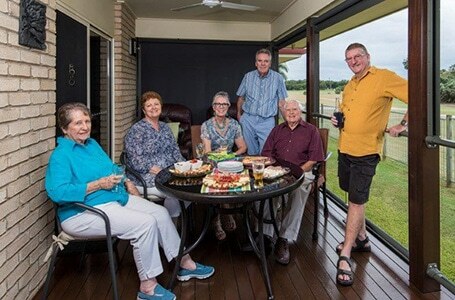 Locally owned and developed with its own building team, Palmview Village connects with the local community’s ideals providing the most valuable asset North Queensland has to offer: relaxed living. The Village offers its residents a large range of activities with social groups for the highly active or for those just wanting to participate in some social interaction and fun. There is an activity for all levels of participation. Nearby essential conveniences include the Mater Hospital, North Mackay Bowls Club, Churches, local council Library and Cinemas. There is also easy access to Mt Pleasant and Greenfield’s Shopping Centres and it is a short drive to Mackay City Heart and Caneland Central shopping precinct. Palmview Village has an exceptional Community Spirit and offers a secure and safe environment where Residents have their own home and maintain their sense of independence whilst having the option of participating in various levels of social activity with friends of similar interests. 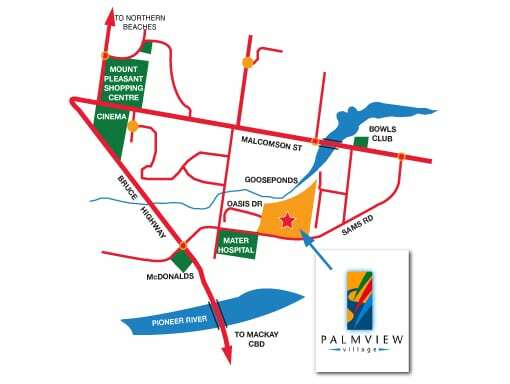 Enquire today to see what Palmview Village can do for your lifestyle… Don’t leave it too late! 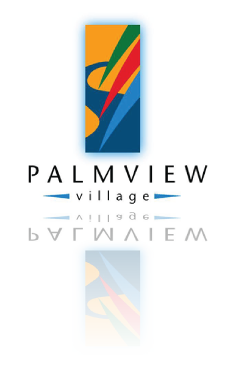 Palmview Village is Mackay’s premier retirement village option, representing the region’s tropical lifestyle through the village environment, community spirit and easy access to the surrounding attractions and facilities. Mackay and surrounding areas boast an incredible diversity from the outer reef, through the township and to the rainforest crested hinterland. Residents and tourists alike are introduced to a myriad of options in the landscape, wildlife and facilities that makes the region a true wonderland. Mackay is an ideal environment to enjoy the retirement years as it offers activities for the local residents and endless attractions ensuring visits for those with family from out of town. At Palmview introductions are easy! In our community introduction is easy and we are only too happy to do an obligation free tour of what we have available. We understand that a step in a new direction while being exciting can come with apprehension as well, so our aim is to make this as easy as possible. Contact Tania or the office today and that step becomes closer to reality. ‘Don’t leave it too late!’. This is the exact lifestyle we were looking for. Our sincere thanks go to the staff and residents at Palmview who made our move a positive and less stressful experience than we anticipated. I wanted to be surrounded by like minded people while I was still very active and able to join in with the great company of the other residents, and participate in the activities provided by the village. Palmview is the perfect fit. We love showing off our village! Discover the ‘Palmview Village Lifestyle’ opportunities you could enjoy in retirement. Let us show you our lovely home options available and the facilities village has on offer. Take the step to a premier lifestyle. Contact us to arrange a Palmview Personal Tour today. At Palmview introductions are easy!